The existing house at 73 Sheridan suffered fire damage and the owners approached our client to seek a solution which allowed them to stay in the neighborhood while providing them with some financial security in retirement. We proposed two townhouses to be built in the historic character of Sheridan Street close to the street. 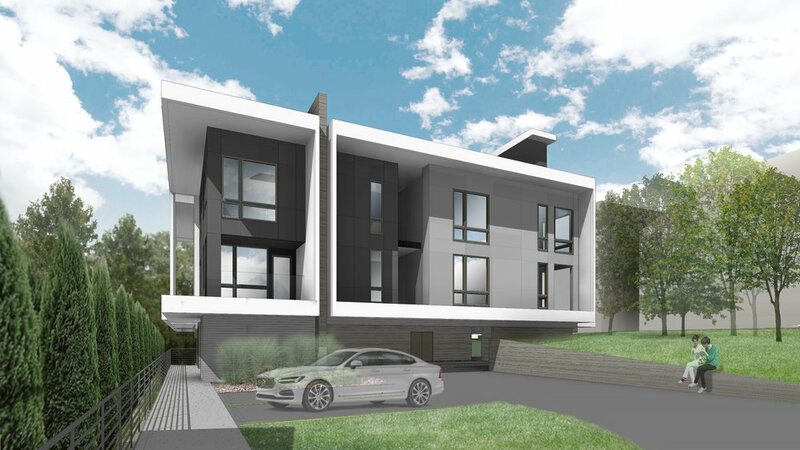 Behind the townhouses, on the large lot, we would then build a three story multi-family residential building. The multi-family building is both embedded and floating above the landscape. Large frames express the organization of the building while reinforcing the connection to the immediate and greater landscape.